Cruise lovers, rejoice! 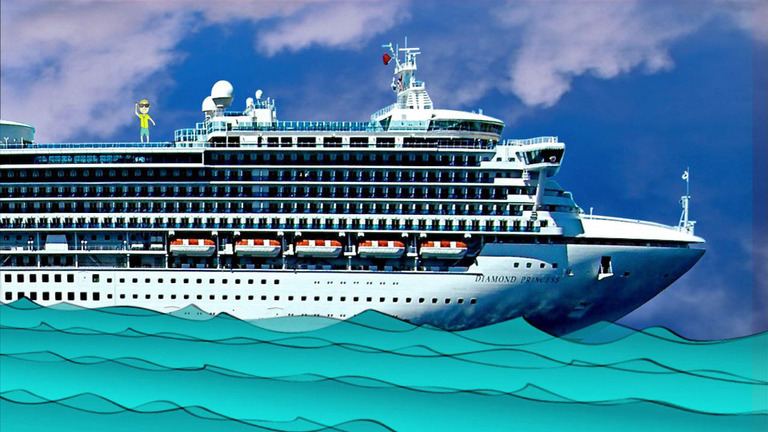 It's actually cheaper to cruise nonstop for an entire year than to pay rent and live in many major U.S. cities. That's the latest finding of a study by cruise search engine CruiseWatch.com. According to the study, citizens of Honolulu would save $7,518 per person each year if they went on continuous cruises in 2017. San Francisco residents would save $7,154, Los Angelenos$2,058 and Stamford, Connecticut residents,$3,878. New Yorkers topped the list with a savings of $10,430 for traveling the high seas nonstop. CruiseWatch calculated how much an average person would spend for things like housing, transportation, utilities and other everyday living expenses. This averaged around $637 per week for an average household size of 2.5 people in New York City. "Currently, the best available prices for the cheapest cruises in our database average around $313.25 per week, which represents a significant savings of $323.75 per week," the company said in a press release. To conduct the study, the company tapped data, including five years' worth of cruise price information, to gain a historical perspective on how cruise prices fluctuate throughout the year. CruiseWatch.com also relied on data from the 2012 U.S. Census to calculate the current cost of living in 132 U.S. cities. The findings aren't all that surprising, given several housing studies have found rent is becoming increasingly burdensome for many consumers. A recent study from the Joint Center for Housing Studies of Harvard University, for instance, found the number of renters devoting at least half of their individual income to rent hit a shocking all-time high in 2014 — 11.4 million. Remember, while rewards cards can be valuable, they are generally available only to applicants with good or excellent credit. (If you're not sure where you stand, you can get a free credit report snapshot from Credit.com.) In addition, rewards cards are a good deal only for those who pay their balances off in full each month. Otherwise, you'll likely spend more on interest than you receive in rewards.